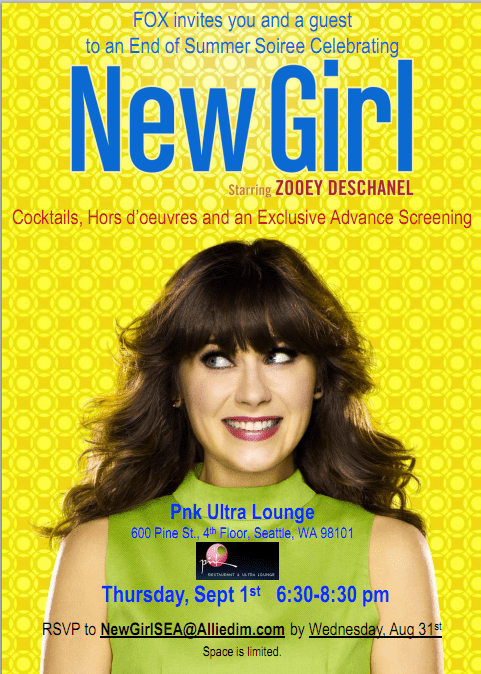 Geeky Hostess readers have been invited to a free pre-screening of Fox’s newest show, New Girl. Haven’t heard of New Girl? Adorably geeky girl + Zooey Deschanel + random singing = good times. Check out the trailer below. I love Zoey and her dorky hilarious character. Wish I was in Seattle! Can’t wait to see this!